An accurate Tire Pressure Gauge is essential for every off road vehicle. Whether you are airing down for the trail, or filling back up for the ride home knowing your PSI is important. 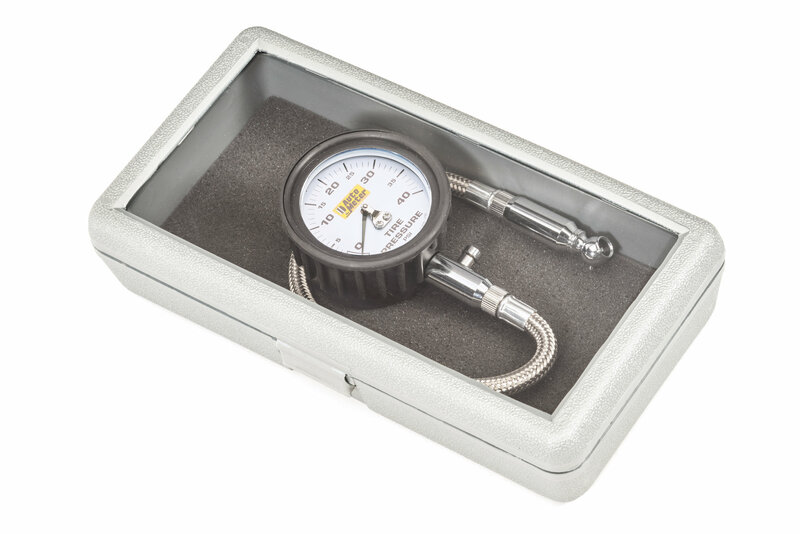 Auto Meter brings the same precision and attention to detail that they are known for with their aftermarket gauges and dash clusters to this Mechanical Tire Pressure Gauge. 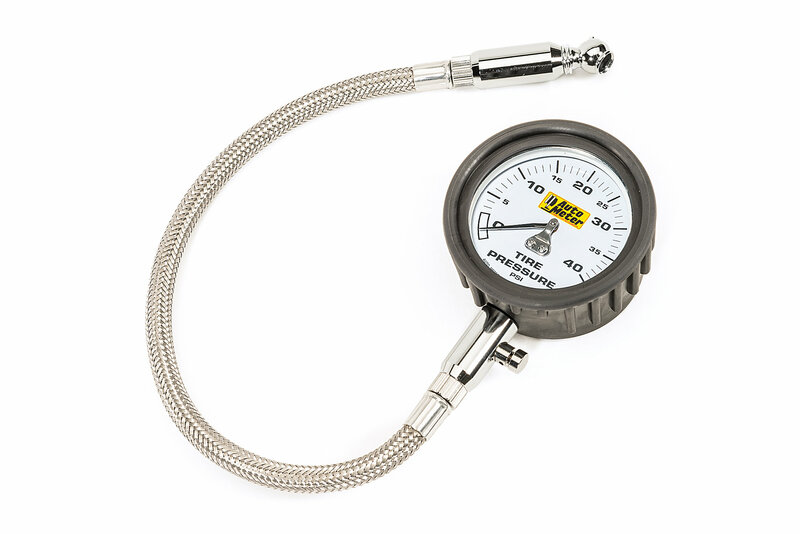 The gauge face is large and clear with black 0-40 PSI markings on a white background. Auto Meter also includes a protective carrying case for easy storage and transport. 13.75" Braided Hose Features Built in Strain Reliefs and Brass Nozzle.